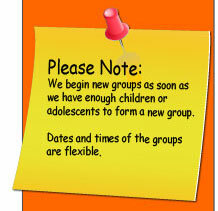 The Social Skills Group Help your children make closer connections. One of the greatest human needs is to feel self important and of value to others. People generally need to feel a sense of belonging and acceptance, whether it comes from a large social connection (e.g. school) or small social connection (e.g. sports teams; classes). People need to love and be loved by others. When these things are absent we often become susceptible to loneliness, social anxiety, and depression. If we want others to like us, a good way to get them to do that is to take an interest in them, and fulfill their need to feel valuable and important. A well-liked individual does not focus on themselves; they shift their attention on to the other person. It is true; you can make more friends in two months by becoming interested in other people… than you can in two years, by trying to get other people interested in you. Smile! If we are ‘approachable’, and participate in conversations with others, that may lead to a new friendship. And just one warm exchange with another person, well, both people will walk away smiling and feeling good. Participate in a sport. Sports teams and classes provide a more intimate setting and opportunities to meet people. Offer to car pool with another family. Just sharing a ride together will lead to a snack together, conversation and fun. Get involved in a hobby and things that interest you. Enroll in a community art class or another class. Joining a class geared toward our interests ensures we’ll improve ourselves, and we will meet people with whom we already have something in common. Get involved with volunteering or a charity we believe in will give us a sense of doing something positive to help the community, the world, and we will meet others with similarly big hearts and great passion for helping. Study with other people. Preparing and studying for a class or test in school is a nice way to build friendships. Have friends over to your home. Reach out and make plans with others. We may inspire others to also make plans with us, inviting us as well others over. Make plans to go out (e.g. movie), where we can be together again and have fun. A person's name is most important. Do not forget names! Pay compliments to others on skills, accomplishments, or appearance. Take an interest in their well being. Take an interest in the other person's interests. Make the other person feel they are valuable and important.